Early Urbanizations in the Levant examines the first cycle of urbanization, collapse and reurbanization in the 4th-2nd millennium BCE Levant. The core of the study is a detailed analysis of settlement fluctuations and material culture development in the Hula Valley, at the crossroads between modern Israel, Syria and Lebanon. Focusing on field data and a close reading of the material text, the book emphasizes the variety exhibited in patterns of cultural and social change when small, densely settled regions are carefully scrutinized. Using the concepts of time-space edges and shifting loci of power, the study suggests new scenarios to explain changes in the regional archaeological record, and considers the implications these have for existing reconstructions of social evolution in the larger region. 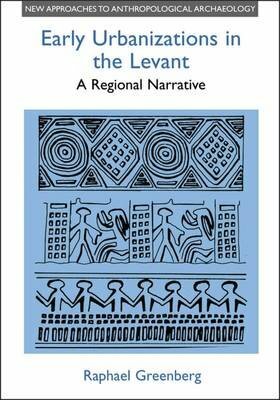 The Levant is shown to be composed of a fluid mosaic of polities that moved along multiple, if often parallel, paths towards and away from complexity. This book should be of interest to anyone studying the archaeology of early state formation in the Near East, particularly in areas of aesecondaryAE urbanization - Palestine, Syria and Anatolia. With its detailed consideration of settlement patterns and ceramic production, it is also indispensable for the study of the early history of the two major sites in the area, Tel Dan and Tel Hazor, being the first attempt to integrate the results of excavations at these sites with the information obtained in archaeological surveys of the valley which sustained them."